Activities > Cooking classes NEW! Mayan Beach Garden is quickly becoming famous for our incredibly good Caribbean and traditional Yucatecan and Mexican home-style dishes. 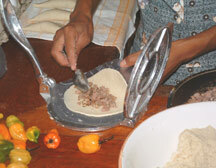 Now you can enjoy the beach and learn techniques for cooking Yucatecan Mexican food as well. 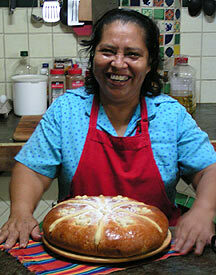 Cooking at Mayan Beach Garden is an art. You'll get plenty of opportunities to participate in the creation of wonderful and easy to make dishes, and you will even get to eat what you make. Some classes are always held in the morning and some in the afternoon. We are open year-round and have a maximum group size of 6 but no minimum. We accept non-hotel reservations for classes. And other treats time permitting. Now that you know how to make tortillas, take things to a new level (requires knowledge of Tortilla 101) -- all items are hands on. Yucatecan tamales are (in) a class in by themselves. IN this session You'll do everything from preparing the banana leaves to seasoning the meat, preparing the masa and the sauce that goes over them. We'll make three types -- meat, vegetarian and sweet corn. 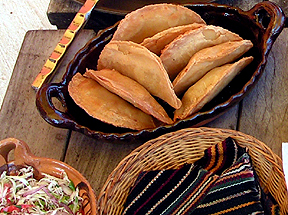 We will also show you how to make Tamales on corn and let you taste the difference. 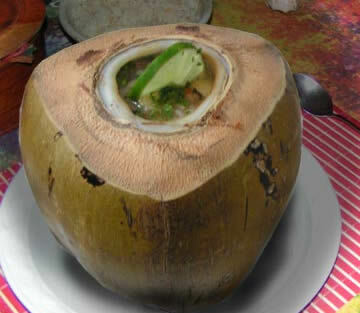 This is a favorite, creating one of Mayan Beach Garden's most famous dishes - Coconut Lime fish. We only give these recipes out when you take the class. You will learn to make them and learn about green coconuts vs. mature coconuts at the same time..
Coco helado - demonstration of preparing green coconut for drinking NOT hands on, only tasting! Nothing's more fun that a celebration of food and just as Turkey is eaten at Thanksgiving in the United States, Mexicans have special foods at different times of the year.